A great giveaway Bitdefender Antivirus for Mac license key. Download full activation code for latest version Bitdefender Antivirus MacOS version. Although the license key is not fully 1-year but it still recommended to download & protect your Mac. Serial key code offered in this giveaway is to activate Bitdefender Antivirus for Mac for 6-month. Important notes, the license is works on latest version of the Bitdefender product. What is Bitdefender Antivirus for Mac? It the best security application for mac that not just protect Mac. The product also designed to detect, block/remove viruses that targeted Windows. Bitdefender Antivirus for Mac also using special & powerful security engine that works with less resource requires. To read more detail, click the Bitdefender Antivirus for Mac promo topic. On this page, you can get info how to get full activation code of the antivirus for free. The offer is available for s short time. The giveaway is available for a short time only. If you are interested, use the following link to download installer and free serial number or license key. The Bitdefender Antivirus for Mac license key on this giveaway is active for 6 month only. Here the giveaway link of the software. 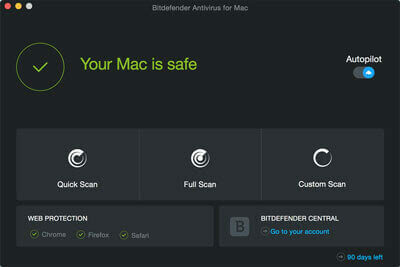 New Giveaway page Bitdefender Antivirus for Mac: Go to giveaway page. The steps or tutorial to download the application with activation key is describe below. Follow the steps to get free 6 months protections on your Mac. It so ease, Just open the giveaway link/page above. The giveaway is a collaboration Bitdefender with Mac-StackSocial. Fill up the field requires. Use valid email on the giveaway then check “I’m not a robot”. Click on “Get Your Activation Code” to submit and request 1-free license key. You’ll the Bitdefender Antivirus for Mac license key in your email inbox. Check your spam folder if does not receive the code within a few minutes. Download the installer and use serial code in your email to activate. And enjoy 6 months free protections for your Mac. The free version is without technical support. If you need full supports and better protection, buy full 1/2/3 years protections. Use our Bitdefender Antivirus for Mac coupon code to buy and get up to 60% discount. Why You need Bitdefender Antivirus on your Mac? Get the following benefits by installing the antivirus on your Mac. Block, remove, & detect ransomware, viruses, spyware and other online threats. Also, prevent your Mac machine spread the threats to other PC/Laptop. It detects viruses targeted Windows and Mac. Protect your personal information when online banking, shopping on the internet by blocking ID theft attacks. The giveaway version Bitdefender Antivirus for Mac is supports up to MacOS 10.13 High Sierra. Other OS X versions supported is Mac OS X Mountain Lion, Mac OS X Yosemite, and Mac OS X Mavericks, and El Capitan.